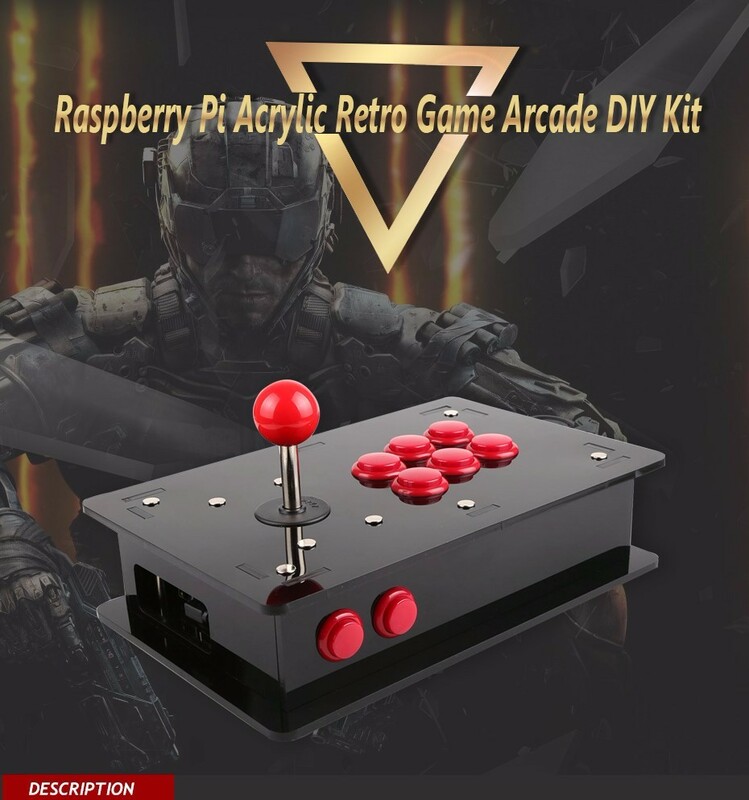 Yesterday, I got the new Raspberry Pi Acrylic DIY Retro Game Arcade Kit. the kit does not include the Raspberry Pi 3. So plus my own Raspberry Pi 3 Model B, I can assemble the arcade kit. It is very easy to assemble and configure. Place all of the push buttons on the enclosure slick, and screw up the joystick on the top board with short binding screws and nuts. 1. Remove the protect cover on the Acrylic enclosure, just remove the plastic. 2. Mount the Raspberry Pi and GeeekPi USB Joystick board on the button of the enclosure with M2.5x 18mm screws and nuts. 3. Place all of the push buttons on the enclosure slice, and screw up the joystick on the top board with short binding screws and nuts. 4. Mount the loudspeaker to the front panel of the enclosure. Pay attention to the position of the loudspeaker. 5. Place four slices on the bottom of the and fixed everything with long Binding screws. The case is made of Acrylic laser-cutting. There are 2 big buttons on the side, functioned as the volumebutton. On the other side, there are 2 small buttons, the left one is the select button, the right one is the start button. 2 slots for plugging cables and external devices. 2 speakers with wire, provide fantasticsound when playing games. On the bottom, There is smaller slot, for the TF card. Connect the HDMI cable, then power the Raspberry Pi. You can change the game platform by pushing the joystick to left and right. 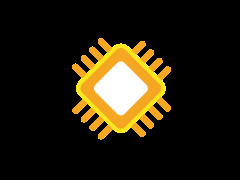 It contains a lot of simulators such as: Amiga,, Amstrad CPC,Apple II, Apple Macintosh, MAME, NES, Final Burn Alpha, Disk system, game Gear, Gameboy, Gameboy Advance, Game Boy Color, Master System, mega drive, MSX, , NEO-GEO, NeoGeo Pocket, Neogeo Pocket Color, Pc engine, GENESIS32x, SG-1000. Choose the game by the joystick, and press the middle button of the second row to confirm the game. There are many games from the internet, we can upload them to the Raspberry Pi. Choose the Role by pressing the select button.